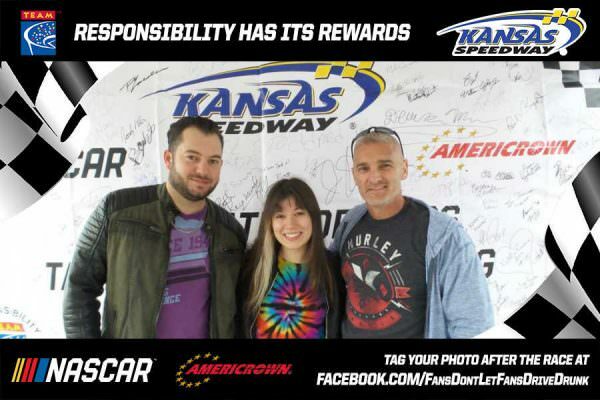 Before the green flag waved at the Hollywood Casino 400 at Kansas Speedway, a total of 102 responsible fans earned valuable rewards Sunday, October 22, 2017 by making the pledge to never drive drunk. 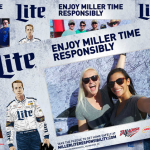 The race marks the fourth consecutive race where the track, Americrown and TEAM Coalition have partnered to promote responsible drinking and traffic safety. 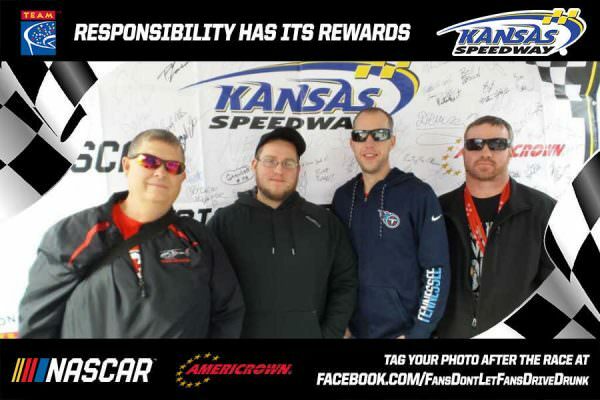 Those responsible fans made the pledge to be the designated driver for their group. 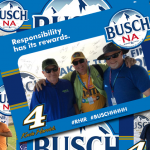 All of them had the opportunity to receive a free souvenir photo, instant prizes, and a chance to be selected as the Designated Driver for the Race. 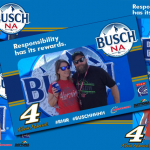 One randomly selected, responsible fan will win the “Responsibility Has Its Rewards sweepstakes.” The grand prize includes two tickets and a VIP experience for two at the next race at Kansas Speedway in May, 2018. 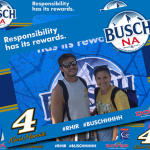 The Designated Driver for the Race from the Go Bowling 400, Darron Hicks, received two tickets and two VIP Experiences to the Hollywood Casino 400. 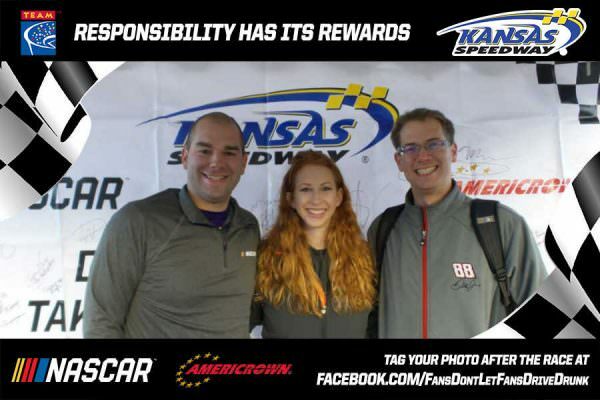 Hicks and his guest also enjoyed a behind-the-scenes experience before the race on Sunday.